Characteristics:- Soya Flakes is Golden Yellow coloured flakes obtained from Indian NON GMO clean, healthy golden yellow soyabean seeds by the process of dehulling, flaking, extracting, desolventizing and toasting. Soya Flakes is a high protein, low in fat product, maintains the balance of Essential amino acid in the body which is required for the development of muscle, connective tissue & enzymes and are the simplest form of soya protein. 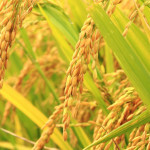 The protein content of the flakes is approximately 50% much higher than the other grains. 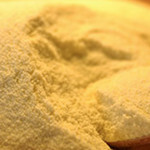 The soya flour contains high quality protein which is an excellent source of iron, calcium B-vitamins. The only nutritive functional protein which is fully fat proof. 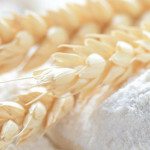 Nutritional soya flour is an excellent compliment to lysine limited cereal protein with other essential minerals, vitamins and this is indicated by its use in fortification of cereals to form composite flours, as a replacement for non fat milk, solids in bakery products all purpose food blends. .By heating soybeans with varying degrees of heat the antineutrients are inactivated achieving full release of nutrients. 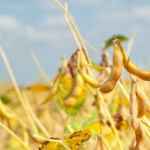 There is no evidence that soy protein or soya products possess any allergic property as present in other proteins. Application :- Used in manufacturing of Soya Sauce, Soya Nuggets, Soya Granules, Processed Food Stuffs, Baked Goods & Imparts functional characteristics like emulsification, thickening, dispersibility & water binding. Readily Wettable. Packing & Storage :- 50 Kg PP Bag/ 500 Kg Bags. Storage & Shelf Life:- 1 Year if stored in clean, dry, infestation free area in unopened bag.